I had a very exciting moment over the weekend. I tried on one of my old dresses, and…. it fit!!! And then I tried on some more. And they fit, too! I could get the zips done up and everything!!! For the first time in over four years (i.e. pre-babies). Very happy times!! Because I’ll admit it – I’ve been missing my wardrobe…! I made this dress way waaaaay back when. Finished it on 27 January, 2009 in fact. Which was before I started blogging, so it’s never been posted on here. So here you go – a not-new-but-not-seen-before-on-the-blog dress. This dress was my very first forey into vintage patterns. It’s made using Butterick 5214, a reproduction pattern from 1947 (now out of print). The dress features an unusual front neckline, a halter neck (meant to fasten with a button but I stitched it closed as I could get it over my head easily anyway), and double angled darts on the bodice front. The bodice is lined (in my case, in a yellow poplin). The skirt has four gores, and a side seam-pocket on one side only. The dress fastens with a zip on the other side seam. One thing that I keep telling myself that I really should do, and then constantly ignore in favour of making More Pretty Dresses!!! is to sew for the kids. I always have great plans, heck I even have fabric and patterns!, but well, it doesn’t tend to happen lots. Whoops. When browsing Fabric.com late last year (always a dangerous thing to be doing) I spotted some flannel with Minions on it. Minions, I tell you! How awesome is that?!? And since the Little Dude loves Minions (or ‘minis’ as he calls them), I snaffled some up to make him a pair of pajama pants. The Little Dude is one of those people who runs hot. Especially when he’s sleeping. And yet, aside from that one pair of Minions pajama shorts, he didn’t own any summertime pajamas. So, since I was on a pajama-making roll, I made him two more pairs. A red pair with pirate flags. All are in high rotation, and serving their purposely nicely. Yay, sewing! The pattern is simple – front leg, back leg, and waistband. There’s a faux fly, and an elasticated waist. And that’s about it. Want to hear what they are? Here goes….! I love sewing with vintage patterns, I really do. And I’ve been missing it the last three years – they’ve just been a bit too hard to fit into all the body changes from having two little kids. But now, it’s time to get back into it! 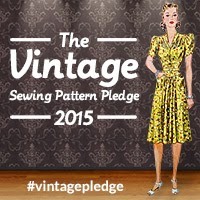 I have quite a collection of vintage patterns, including a few from the late 1930s. (So beautiful!) This year, I’m hoping to make a bunch of them up. Last year I also developed a real love of the Vogue Couturier and Designer patterns from the 1960’s and 1970’s, and I’ve been building up quite a collection of those as well. So many interesting style lines and design details! I’m planning on making up some of them this year as well. They’re just so gorgeous! Like with the last 3-4 years, there will be a bunch of indie patterns made up too. I’ve currently got fabric matched with the following patterns, just waiting for time to make them up: the Sophia dress from By Hand London (in a pink tape measure covered fabric from Minerva crafts); the Waver jacket from Papercut (in a coated polyester with a cream and black print from The Fabric Store); the YoYo dress from Papercut (in a place with green floral cotton from Fabric-a-brac). I’m especially in need of that Waver jacket – making a rain coat has been on my to-do list for about 15 years now, and I finally have the fabric for it, yay! I’ll be taking a couple of breaks from my usual sewing of dresses to fill some wardrobe gaps as well. The raincoat is one of those – I also have plans for a few more pairs of the Carolyn pajama pants (both short and long variations), and I’ve got three Jenna cardis planned (in mustard yellow merino, fuchsia pink merino, and black leopard print), and a Sophie cardi in a moss green wool blend. Speaking of cardigans, that’s also my knitting plans for this year. I’ve got the Agatha cardigan by Andi Satterlund on the needles (and have had for over a year now! ), and also the Sunshower cardi (also by Andi Satterlund). I have grand intentions to finish them both before winter this year! I’m also hoping to get two other knitting projects on the go – one each after those two are finished. I haven’t decided yet which patterns will be next on the needles – I have lots I want to make, and a stash of yarn, so it’ll depend on which most catches my eye at the time. But I’m 99.9% sure they’ll be cardigans, since that’s what I love to wear. Part of the yarn stash – so much pretty! Oh my, I have so, so many plans for Muse this year! I’ve got a rather large number of patterns designed, and just waiting to be drafted/created. Philippa, Frances, Heather, Artemesia, Kelly, Kaha, Rua, Juliet, Sandra, Christina, Rayna, one that I haven’t even named yet, expansion packs…..
I’m part-way through creating the Philippa pattern now (had it designed since February last year, and it’s time for it to come to life – exciting! ), and having a lot of fun with that. 🙂 My goal is to create eight Muse patterns this year, so about 2/3rds of that list above. 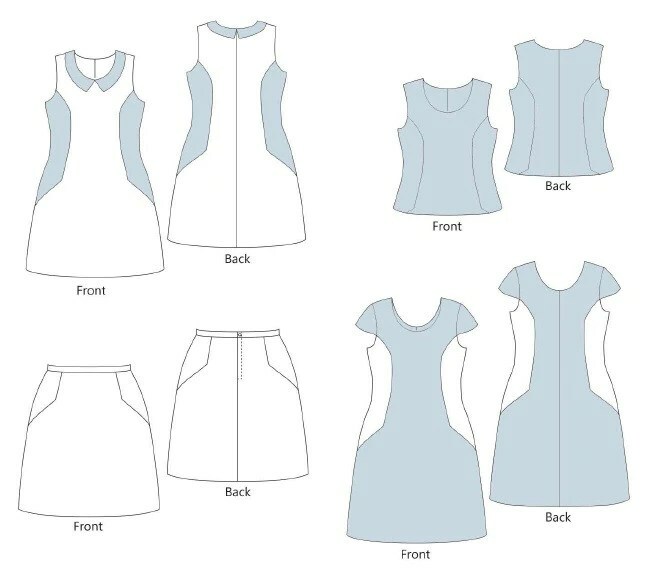 Other plans for Muse this year – getting paper patterns created! It’s taking a lot longer than planned, but progress is being made, albeit slowly. Sometime very soon, I hope!! I’m also going to try for more professional photography for pattern images – looking to find a local photographer so the images can have less distracting backgrounds. Another exciting move to make! For a long time now, I’ve had parts of a blog post on maternity-friendly Indie patterns waiting for me to finish writing it. And a follow-up on nursing-friendly Indie patterns. This year, they will happen! And one of these days, I’ll get around to giving the blog a makeover – the theme and banner are looking pretty old and tired. It’s one of those things that shouldn’t take long to do, but I keep bumping it down the priority list due to other fun things. It’s gonna happen though, I promise! I’m continuing on with the Minerva Bloggers Network as well – I have my next five projects all lined up and ready for making, a fun mix of useful things (pyjamas! ), fun things (dress covered in little foxes! ), and even something for the little dudes (mini trousers!). 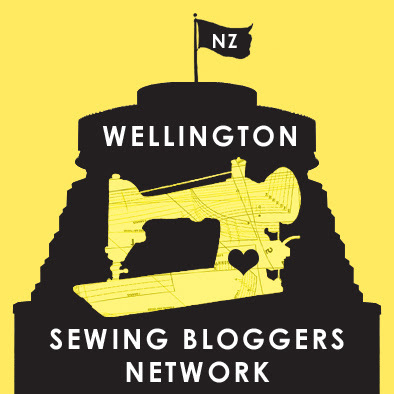 And of course, carrying on with Sew Indie NZ. I have lots of plans for that this year as well – I’m in the middle of getting another designer to stock, and have two others on the list of ones I want to get in soon as well. And there may be thoughts around non-pattern things to stock as well, perhaps, we’ll see how it all goes…. It’s not all online things either – I have plans to actually get my sewing room organised (!!!). Work has started – a pegboard is up and being organised, two thread racks have been purchased and one is mounted on the wall so far, and I also bought a trims organiser (also awaiting being put on the wall). It’ll take a while (because quite frankly, I’d rather be sewing!) but organisation will happen! Speaking of organising, I’ve been slowly (very very slowly) adding patterns to Evernote, at the recommendation of the lovely Mel. I’ve bought comic book bags to store patterns in, and have plans to slowly but surely get my collection archived and recorded this year. And even weed out a few patterns. Maybe. But let’s not be too hasty there…! Lots of plans for the year! I’m really looking forward to it – now that my energy is kinda coming back after last years horrible sleep deprivation, and my body is settling down with all the shape changes, I’m really looking forward to getting back to sewing lots of fun things. 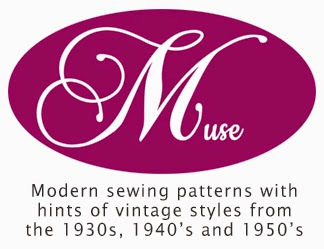 And I’m super excited about all the plans I have for Muse this year! Bring on 2016 – yippie!